Fourth and fifth graders from East Elementary School hang out at the lanes in Thunder Rolls Bowling Center in Craig Friday. They earned a "paws" field trip for good behavior and responsibility, and got an afternoon of bowling as a result. Fourth and fifth grade students from East Elementary had a good end to their school week. The elder students at East enjoyed a pizza lunch and an afternoon of cosmic bowling Friday at Thunder Rolls Bowling Center. The food and field trip were rewards for the students earning a “paws”, said teacher Britni Morton. A paws field trip is given for students earning a certain amount of stickers as a result of good behavior and responsibility over a given amount of time, like a month, Morton said. 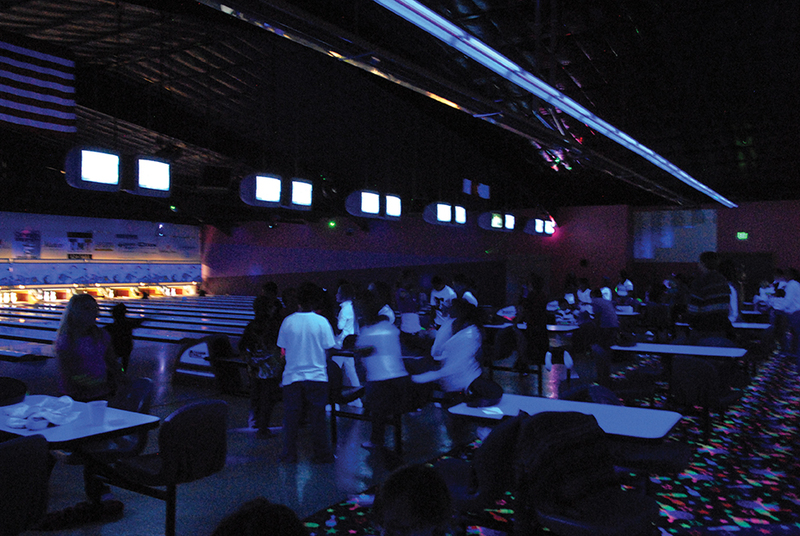 The students got a pizza lunch, then headed to bowl under the black lights at Thunder Rolls, with the pins glowing and disco-style lights shining across the alley. Many had names or messages written in highlighter on their arms to show off in the black light. “It’s a fun day,” Morton said.